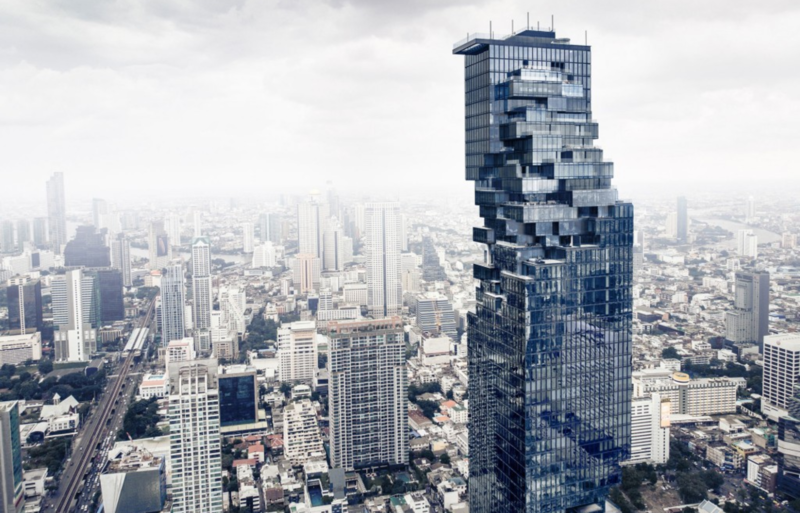 The highly anticipated opening of MahaNakhon’s Observation Deck marks the completion of Thailand’s tallest building and a new architectural landmark for its capital city. 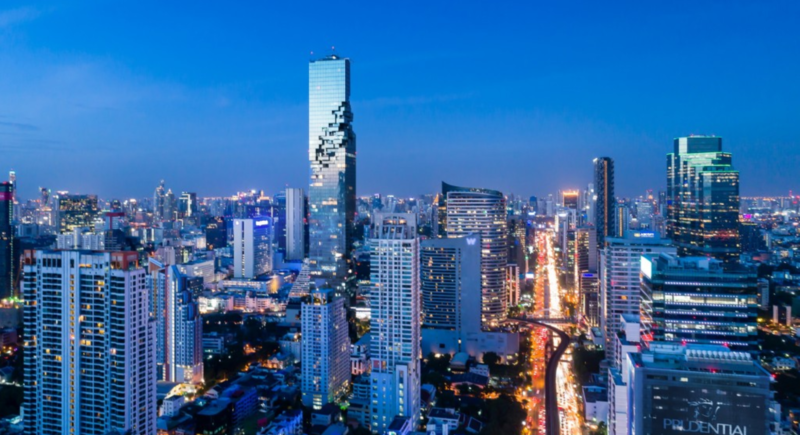 MahaNakhon, which translates as “great metropolis”, has transformed Bangkok’s skyline and its striking silhouette stands as an emblem of the city’s rising status as a global metropolis. 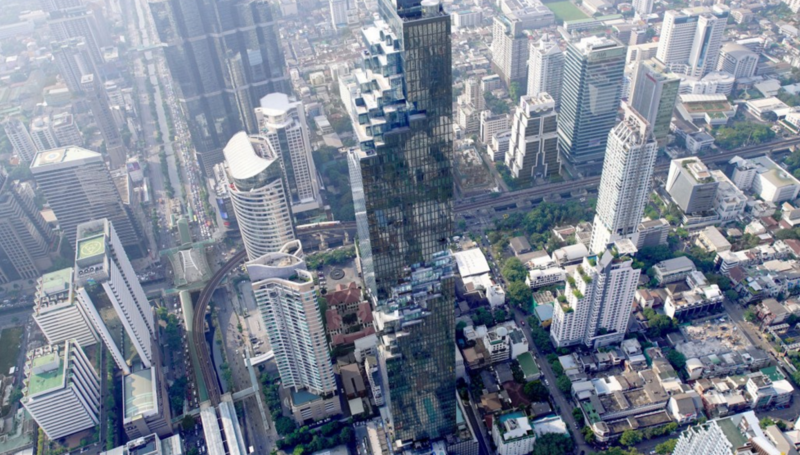 At 314 metres above the ground, the Observation Deck offers spectacular 360 degree views of the bustling urban landscape and Chao Phraya River below and is open to the public and the city’s annual 20 million tourists. The 77-storey complex embodies a radical manifestation of the potential of the skyscraper to invigorate its urban context. The design dismantles the traditional formula of an inert and hermetic totem by opening up the tower to reveal the scale of human inhabitation inside the building. Characterised by its distinctive sculptural profile and the three-dimensional pixelated ribbon that coils around its full height, the building unveils its inner life and projects the image of human activity to the surrounding city and beyond. A vast sheet of glass is extruded from the building’s top and floats 300 meters above the city below. 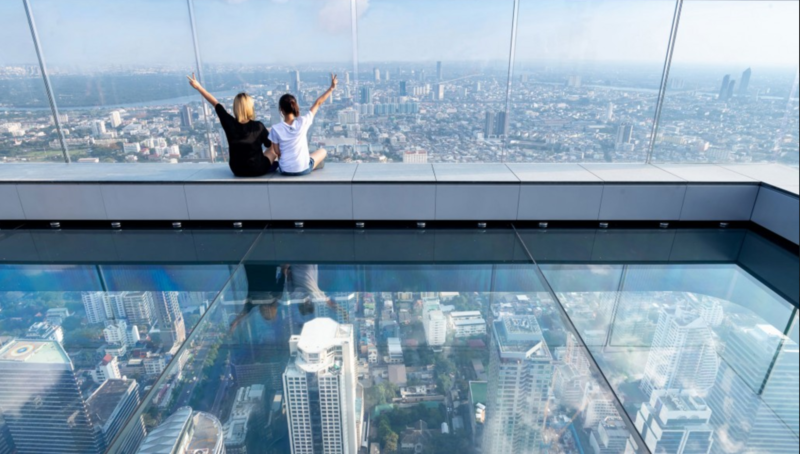 Dubbed the “Skytray”, this 4.5 x 17.5 meter large, walkable glass platform evokes one of the most thrilling and immersive experiences of vertigo worldwide and is set to become Bangkok’s most exhilarating tourist destination. The building’s detailed carved profile opens and connects to the surrounding urban fabric rather than overpowering it. What from a distance evokes a sense of being unfinished – a tower still under construction – reveals itself to be not a formal gesture, but a geometric ‘erosion’ that generates actual living spaces: terraces, balconies, floating living rooms and apartments with sweeping views that merge the tropical outdoors with the indoors.